Fred Vondra was a four-year starter at the University of Wisconsin-Stout before joining the Racine Gladiators. While at Stout, Vondra twice earned honorable mention league honors. Vondra, who stood about six-foot tall and weighed 235 pounds, played center for six years for the Gladiators from 1979-1985. 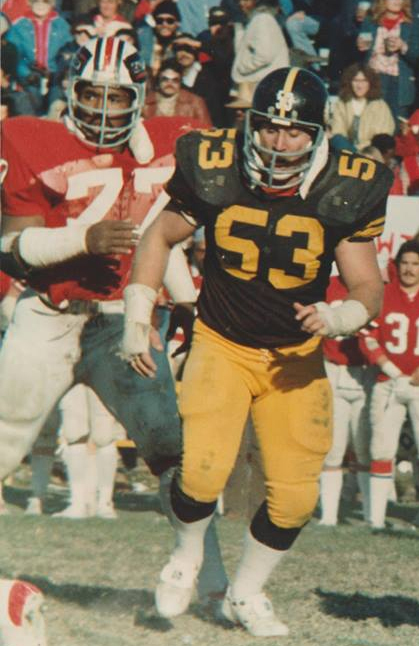 Vondra was named the Raiders offensive captain in 1980 and was named all-league at center twice. “Fred was by far the most tenacious center we had,” recalled former assistant coach Bob Morton in a 2004 interview. Vondra helped the Gladiators to national championships in 1981 and 1983 and had his number 53 retired by the team. Vondra earned his Ph.D. in industrial technology from the University of Northern Iowa and is now a professor at Tennessee Technological Institute in the Manufactured Engineering Department.